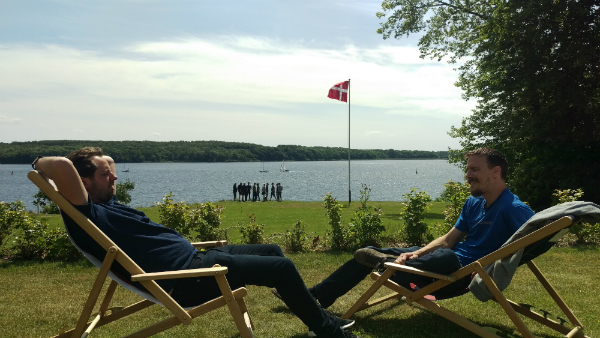 The Umbraco Retreat takes place before CodeGarden, the annual conference in Denmark. 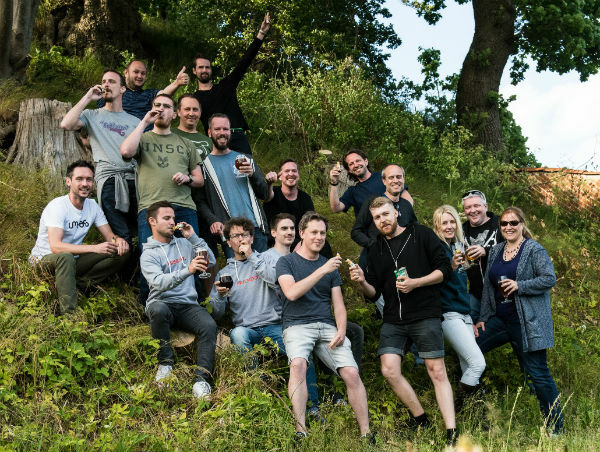 In previous years 15 or so of the most active core contributors and forum users, from both the Umbraco HQ and the community, were whisked away to somewhere in the Danish countryside for three days of … well … some photos made it look like an Umbraco-themed stag do. Some stories made it sound like an intensive coding camp. This year it was clear that Umbraco HQ were trying something a bit different with quite a diverse invite list, including quite a few first-timers like me. Coming from the UK meant getting to Denmark the day before. I met Lee Kelleher (a retreat regular) at Copenhagen airport and we cleverly navigated our way from Copenhagen to Odense via WarPigs for dinner. We found some of the other retreaters out in Odense later in the evening. Bizarrely it turns out that Haddaway - yes that 90s music legend - was also in the same bar and, more bizarrely, seemed to want to hang out with us. Perhaps he had seen the video from the 2015 retreat (3m, 25s) when Simon Busborg had named 'What Is Love' as the classic 90s song! 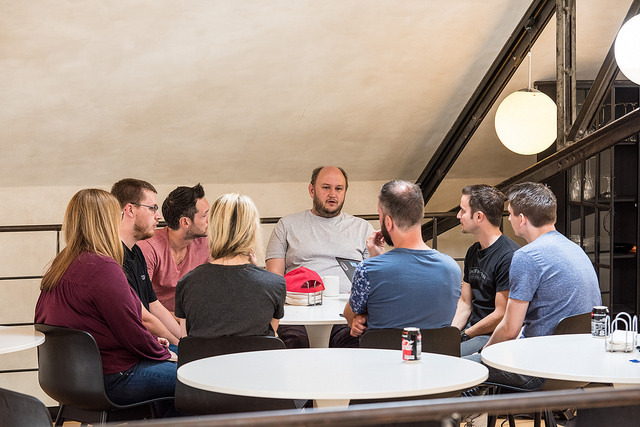 The retreat proper started with a day of open-space sessions at Umbraco's office, focusing on two themes: what next for the core, and how to improve the 'onboarding' of new developers. 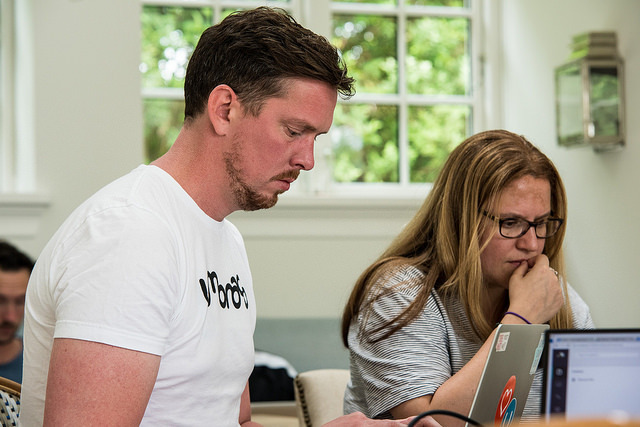 Whilst we were given time to discuss and explore ideas, we were encouraged to finish each session by identifying a deliverable (be it code, documentation or a detailed spec) that was realistically achievable during the rest of the retreat. The venue for the second and third day was an amazing boutique hotel in the southern Funen, somewhere I imagine more used to hosting weddings than coding retreats! Having reviewed the outcomes from the open-space we chose what we wanted to work on, and separated out into small groups for short sprints to get the serious stuff done. I say serious, but it never felt it. We had sole use of an annexe building which meant we could spread out, play music – I find it hard to think without it - and create an enjoyable, relaxed atmosphere for us and our laptops. When you wanted a break the hotel grounds were beautiful, leading down to the water's edge from where you could watch ships sail by. And the food, wow, talk about fine dining. All in all, it was a very enjoyable couple of days! I know you get good results from getting a diverse mix of people together, and giving them the space, time and support to focus. I wrote my dissertation on Bletchley Park in WWII and the physical and emotional factors that contributed to the advancements of computing. Obviously I am not in any way comparing our efforts with that of Alan Turning, Tommy Flowers et al, but I was reminded of this one evening at dinner. When else would I get to collaborate with all these people? When else would I get to ignore real work/life and just think about the task in hand? All whilst staying in a luxury hotel and having lots of fun. I was blown away by how much was achieved. Some even managed unit tests and documentation! More than enough to fill a whole session at CodeGarden – so watch that if you want to see 11 demos of what resulted. I know the HQ benefit from hearing from people with different perspectives, or "fresh eyes" as I liked to call it. Who knows what their aims will be for next year's retreat but I hope they continue to spread the net wider and other people get to experience the event. In conclusion… a BIG thank you Niels, Per and Shannon for asking me to take part this year. Super tak, #h5yr and long live The Retreat!